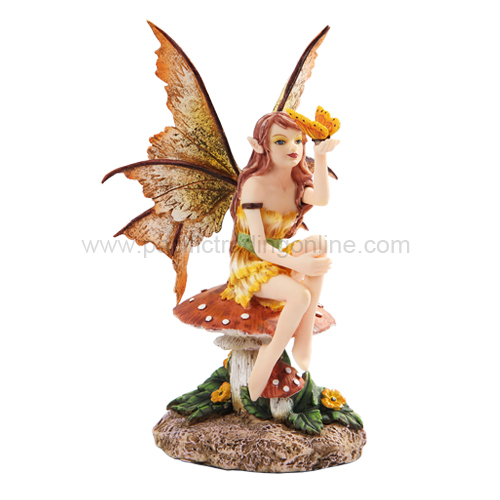 Gothic fairies, sometimes called Dark Fairies, have very pale or ghostly white skin. They usually have long straight hair that is either black or a pale white. They might wear a lot of makeup both on their face and their eyes. Their clothes are old and probably tattered. Probably the most wide spread notion is the idea that the 'ideal' of the subculture is to be a nonconformist. 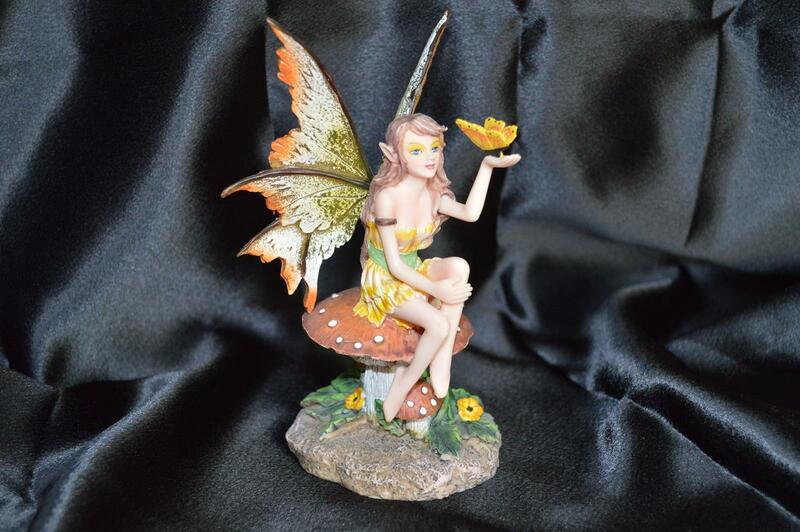 Gothic Fairies are one of many ways the Gothic Sub-culture has of expressing themselves. 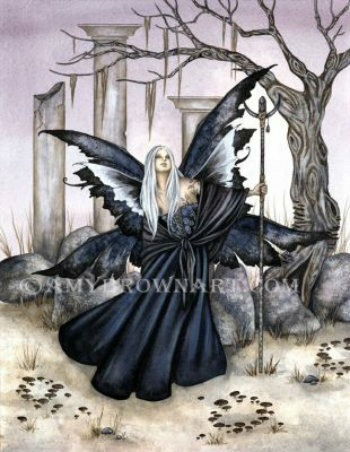 The dark fairy world is where you will find most of the examples of gothic fairies. 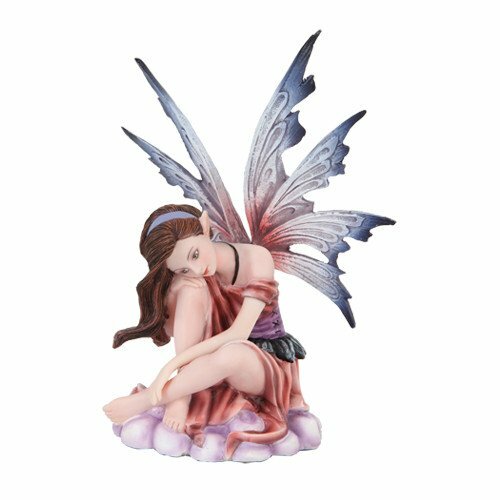 They are a departure from the softer more angelic fairies that are characterized in today's world. They are sometimes influenced by witchcraft, and even images of Satan. The Goth movement is closely related to the punk movement with its somewhat aggressive styles and its punk music. The Gothic Fairy Drawings that show up in Gothic art demonstrate this. Here is a sample pencil drawing of a fairy. As you can see she is a Fairy with Gothic attire. 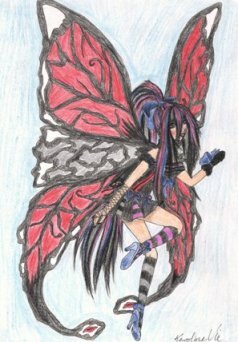 Here is another example of a Gothic Fairies drawing. 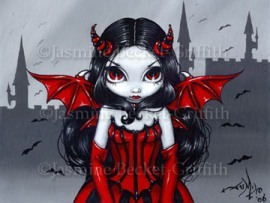 She is a cute little Goth fairy with horns, devil's wings red eyes and an evil look on her face. These characteristics can be and usually are used in all Gothic art. Yet Another example of fairy drawings. 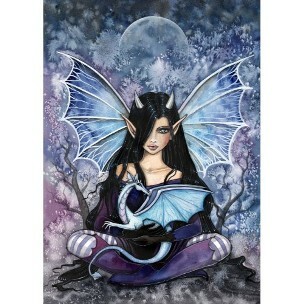 Here a goth fairy is shown holding a dragon. The dragon images that are similar to this dragon picture are from medieval dragons. The fairy pictures of the girl, As you can see, have devil horns, long pointy ears and that evil looking 'dark smile' on her face. And to understand goth history, you have to have a basic understanding of the punk rock movement, particularly as it played out in the late 1970’s in European countries. That’s because the history of the goth movement began as the 1970’s turned into the 1980’s and some of the people who associated with the punk rock movement moved on to form their own social niche group within punk rock – the group that ultimately came to be known as goth. So, pre-dating the goth history was the punk rock history. The most important thing to understand about this is that the punk rock subculture was formed around the central idea of a group of young people rejecting the society from which they came and establishing their own subculture. This rejection of the mainstream society in favor of a different approach to life was not only at the core of the punk rock movement but also at the core of the goth subculture.